Plug-ins are optional additions to the core editor. They allow you to customize your workspace and increase your productivity. Plug-ins operate separately from the main program to keep EmEditor fast and simple. Displays your folders and files in the sidebar to be able to access them quickly. A toolbar with macros for commonly used HTML tags and elements. Shows all your opened documents in the sidebar. Organizes source files into a project structure, and displays all variables, functions, and classes in the project. Finds and lists all instances of a specific string or RegEx in opened documents. Save strings or other context/input based templates to be able to quickly access them in documents. A preview window for HTML documents. Completes commonly used words with a drop down list. 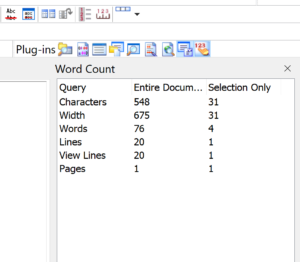 Displays the number of characters, words, lines, or other items in the document or selection. Let us know if you have questions or feedback over at the Plug-ins forum. EmEditor features a powerful plug-in API that allows you to create your own plug-ins. Learn how to write your first plug-in with How To Create Plug-ins For EmEditor, and take a look at the API Documentation which explains all available functions. We have also released source codes for several plugins in github.com/Emurasoft, that can be used at examples.